What’s important for the future of education? didacta is ready for you with an extensive career education and training program and with more than 1,500 events from all areas of education. 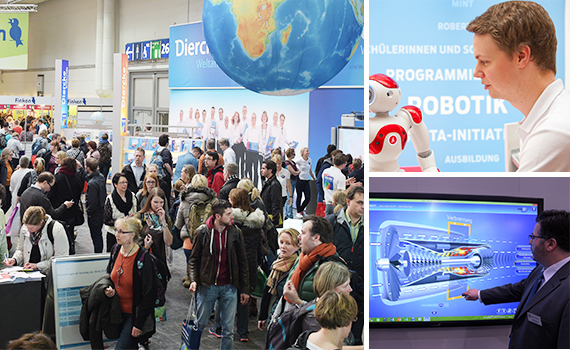 Attend Germany’s most important educational expo: We are looking forward to welcoming you to didacta from February 20 to 24, 2018 in Hannover! Following 2017, this year’s didacta will once again be a veritable education summit that addresses all areas of education policy. This is the place to discover facets of lifelong learning. 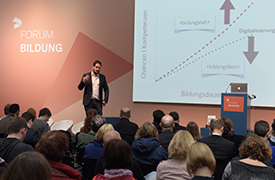 From early childhood education to schooling and universities, adult education to the didacta DIGITAL area: You can look forward to an extensive program with over 1,500 events on the latest themes in education. 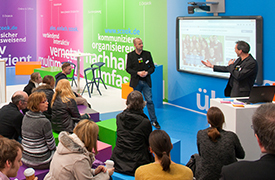 Our tip: Discover inspiration in discussions and best practice presentations at the didacta forums. This is where you’ll find many new ideas and practical suggestions for everyday education. 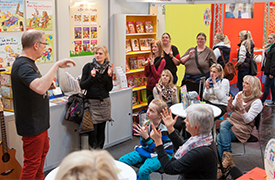 The program for early childhood educators has a diverse line up of events for you. Are you responsible for vocational training? The sector “Career Education/Qualification” delivers many important ideas for your training programs. Learn about the latest news and trends at various platforms and take advantage of exchanging experiences with others. Digital technologies: New opportunities for education? 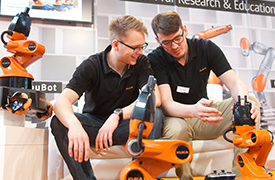 Digitalization and education: That’s what didacta DIGITAL is all about. Get ready for an inspirational program of events! 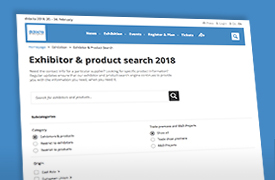 Find relevant product groups, application areas, exhibitors and much more with just a few clicks! 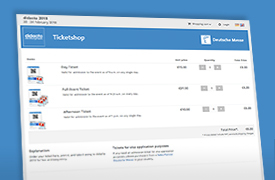 Register your ticket online starting now! Get your ticket to didacta 2018 today.